Yes, I know that I owe you more posts about new products that we found at the trade show and what is in and what is coming and I'll try to get to that before the end of the week, but for now, I want to update you on some upcoming class info!! We have a BUNCH of teachers creating projects, booking dates, and sending in samples!!!! 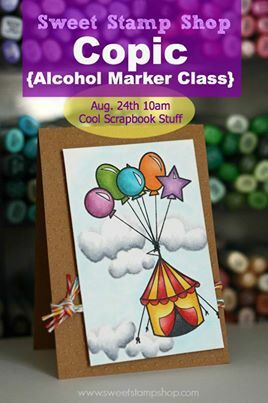 10am - Nicole Rixon from Sweet Stamp Shop will be holding a Beginner Copic (Alcohol) Marker class. Samples to arrive Friday. More info soon. 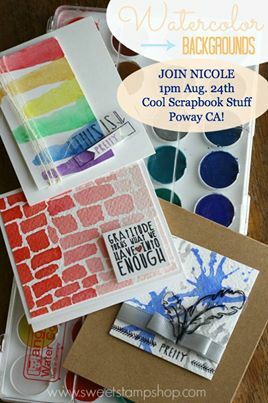 1pm - Nicole will hold "The Art of Card Making" - a new class offering from her. Samples arrive Friday. More info soon. 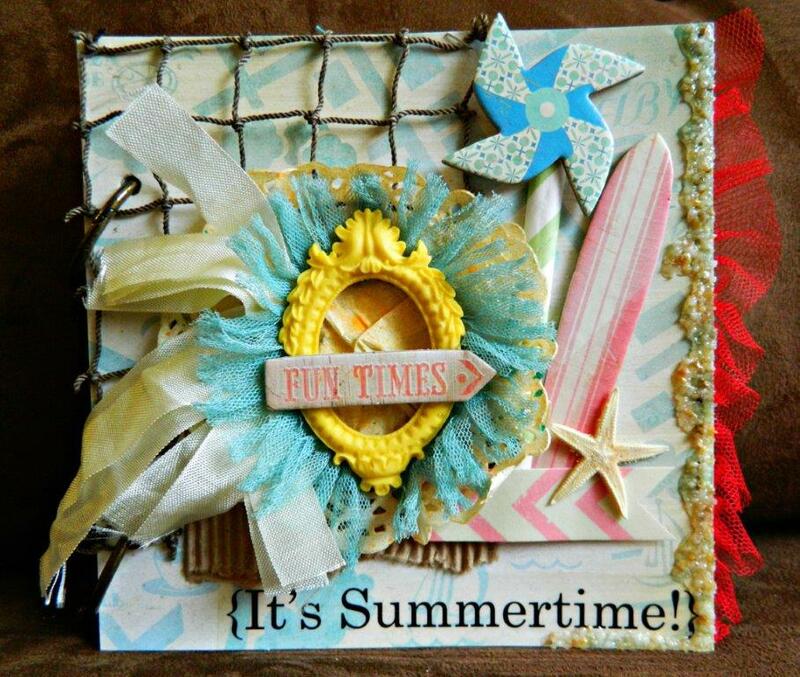 10am - Jenny Griffiths will be holding a card class using Elizabeth Crafts Designs products for $25. Samples are at the store. Sorry, no kits. 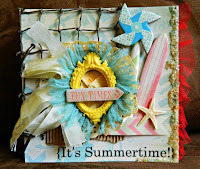 10am - Our very own Tori will be holding a Beach Book class featuring "The Pier" line by Crate Paper for $35. Sample to arrive soon. 2pm-4pm - Our very own Dayle, aka Silhouette EXPERT, will be holding a Silhouette Cameo FREE DEMO at the store for anyone considering buying this amazing digital die cutting system! 2pm-5:30pm - Silhouette 201 - A More Advanced Class $30. For owners of the Silhouette Cameo, Original, SD, and the new Portrait electronic die cutting machines who want to learn more advanced cutting techniques. 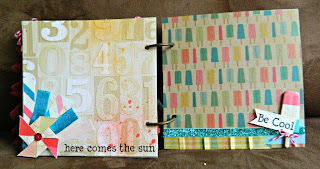 Jenny Griffiths will be offering a Graphic 45 book class. More to follow. Sorry, no kits. Danni will be holding her Graphic 45 Calendar page class for September. More to follow. Danni will be offering a Halloween Banner class and a Halloween Tray class. More to follow. 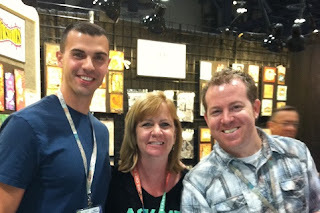 Jennifer Priest/Hydrangea Hippo will be offering a Pencil Art Canvas Class and a Mini Book Class. More to follow. Danni will be holding a Quick Quotes Card Class 11am-1pm. $29. More to follow. Tori will be offering a Halloween wreath class at 10am. More to follow. Danni will be holding her Graphic 45 monthly Calendar class. More to follow. Mark your calendars because Linda Bradbury will be in town and teaching 4 classes for us those two days!!! She is a first time teacher for us, but we know that MANY of you have taken and LOVED! LOVED! LOVED! her classes!!! 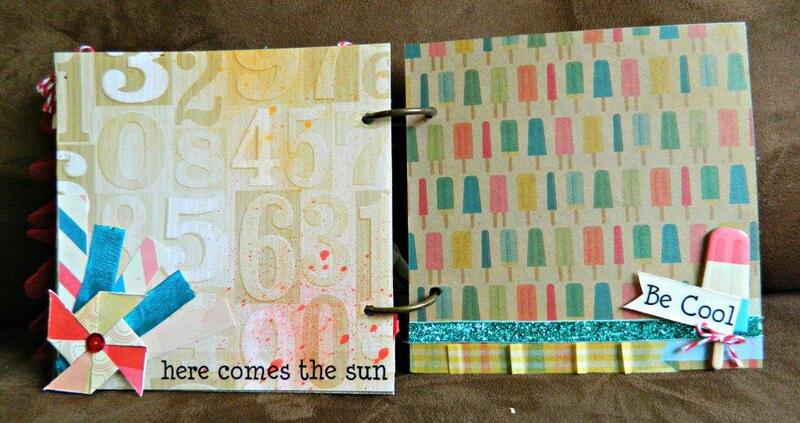 She will be offering four classes unique to Cool Scrapbook Stuff. Sunday, they will be at 10:30am and 2:30pm. Danni will be offering a Fall wreath class. More to follow. 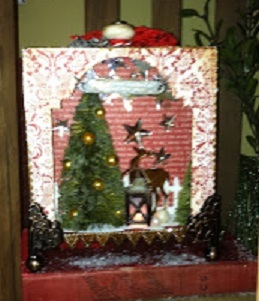 Nancy Evans will be holding her "Home for the Holidays" album class. This class is ALL DAY (10am-6pm with a 30 minute lunch break) and requires pre-work. Teaser sample to arrive next week. More to follow. Danni will be holding her monthly Graphic 45 Calendar class for November. More to follow. Jennifer Priest/Hydrangea Hippo will be offering a a Very Faux Christmas - how to make cool Christmas/Winter effects with Faux Finish. And "10 Layouts in 4 Hours". More to follow. Who else is developing classes for us? Danni, of course!!! She is working on even more classes for us! 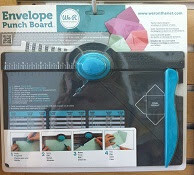 Jennifer Priest - she is thinking of using Kaisercraft products to develop a class or two for us. Monika - she is looking at developing a class using Canvas Corp, Tattered Angels, and 7 Gypsie's items. Should be fun!!! Connie Hanks - Connie is developing a techniques class and I'm sure some other amazing projects!!! Stephanie Ackerman - we are talking about her coming down to teach at Cool. Any suggestions for what you'd like to see? Katie!!! She said she is getting her creative juices back and is hoping to develop a class for us before Christmas. Suzie Q!!!! Yes!!! No kidding!! This week, she should get the "all clear" from her doctor and return to teaching for us periodically! YAY! Jamie Daugherty of Prima fame!! She is a local and a CSS customer and will be looking at our calendar to see what dates works for her! Is there someone that YOU love that is missing from our list??? Have them contact me or let me know and I'll contact them! And what can happen after we set up all of these classes???? We had an appointment with them this morning first thing with our new rep. He seemed pretty good. He showed us the new product and we took a few pictures. These are just a FEW of the items I ordered!!! We have several other releases, plus stamps, wood flourishes, their "Beyond The Page" wood creation items (lots of pictures of samples taken... photos to follow soon). I didn't really take pictures (well, I took one of a sample using their fall line and a 7Gypsie's tray)... I bought a lot. I just remembered why I couldn't find my catalog (I made notes in it and gave it to someone else), so I'll get it back tomorrow. I think I got 3 lines from Echo and 2 from Carta, but wow, I can't remember. One is a Halloween Carta Bella line and an amazing Carta Bella Christmas line! I think another one is a Christmas line from Echo Park. But I'll have to check!! They have a new line called Dapper Dan that the staff was SUPER HOT on, and when I saw it, I knew why!! He and Mario were at the Stamper's Anonymous booth. They were very kind to take a quick photo! Don't worry, I ordered a TON of Tim!! Holy Schmoly!! He did some most amazing work for this show! I mean, he was a REALLY genuine Santa!! And very fun!! I didn't end up ordering Heidi's entire Christmas line "Believe"... I liked it, but it was pretty similar to Carta Bella's. I got the 6x6 only. I really liked it, but what do you think?? I did get the entire Pink Paislee holiday line "Snow Village". And, I ordered Heidi Swapp's 6 new mist colors!! You may, or may not, know that Tim Holtz products are available through several different manufacturers, depending on the item. And I know that some are LOVING frequent posts and some are hating it. I'm keeping you current for now. Once the trade show is over and we are settled back in, we will be blogging on a regular basis, but only a few times per week. If the blog is too frequent, you can find us on Facebook or sign up for the emails. Emails go out about every 2 weeks. Facebook posts are the most frequent, but you can hide them, or ignore them, or not see them... they are more passive. If you want to know everything, then sign up for our blog posts to be emailed to you, and get on our email list, and Like us on Facebook!! You can keep current with us in MANY different ways and different levels of volume! We know that Mixed Media is becoming more and more popular, so we paid a lot of attention to the Splash of Color pre-show items. I'm excited to get their products in. We will meet with our rep in a couple of days to formally place our order. Luminarte Twinkling H2O's... These are essentially a watercolor "paint" with a sparkle... I ♥ them!!! There are so many colors! These are just a few! We have a few of the previous release but want do you think? Should we bring in the new ones? These are rub-on paints... you just use a cloth to basically wipe them onto your medium. So cool! and they had a lot of other great items we want to bring in!! And Crafter's Workshop - they have some new great stencils. 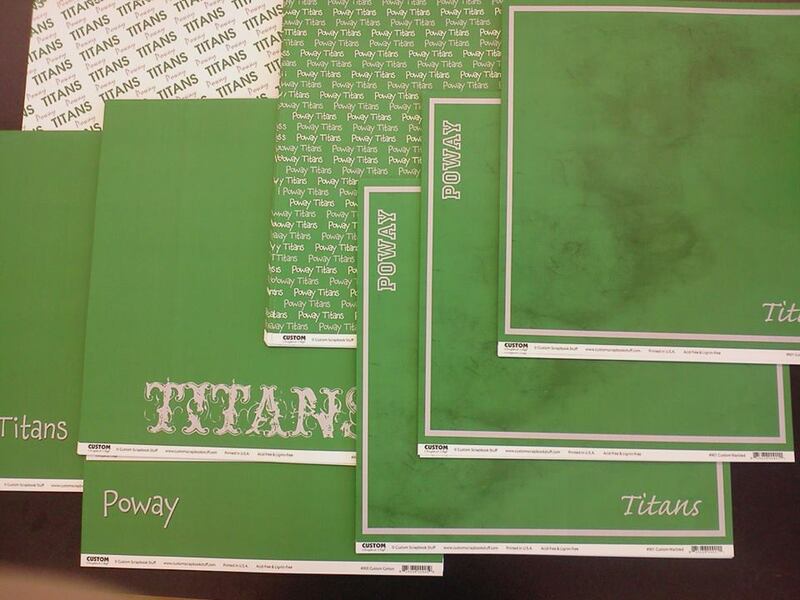 We'll be bringing in several orders of their newest stencils and some of their classics. And OOOOooooooo!!! The new Melissa Frances!! LOVE!!! I didn't place my order yet, but who wouldn't want these??? Our first order that we put in was with Quick Quotes. It was for their inks... Danni SWEARS by them and they came out with new colors! So, we will get all of them. We also ordered some paper collections, but I *HAD* to get the ink set... Danni can tell you why you NEED it!!! 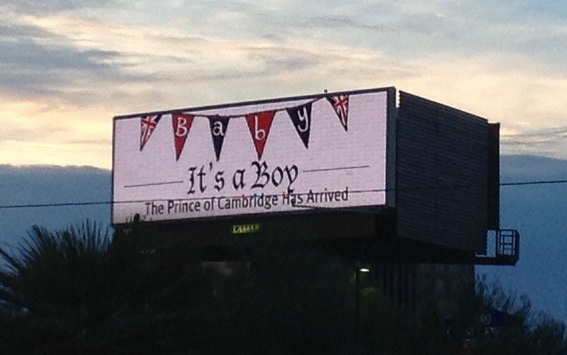 Congratulations to Kate & William! I have a lot more to show you but it's nearing midnight and I need to get to sleep so, this is just the beginning!! So much to tell you!!!! It's been SO MUCH FUN!!!! Oh my gosh!!! Seeing everyone again... and everyone just *LOVING* the new space!!!! Oh my gosh... just fun!!! And still, the number of people who truly believe that the new space is LARGER than the old space, but it's more than 1,000 square feet smaller! It just solidifies the idea that we made the right decision in moving!! And we've started receiving new products!!! We got in new styles for almost every school (plus some reorder). These are the ones for Poway. Not every school has the same styles. 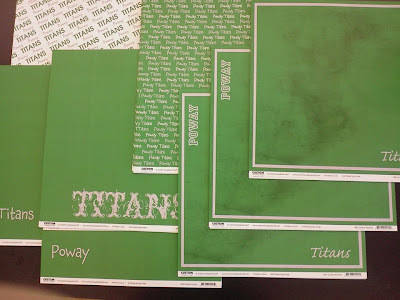 And, with the So Cal Shop Hop coming up, we ordered several different paper styles for the event. And some lovely Ranger items arrived!!! Look at all of these pretty colors of Tim Holtz' Distress Ink!! And Perfect Pearls - including new colors! And we have more coming!!! We have a HUGE backorder of "Love My Tapes" brand washi, plus we just ordered Queen & Co's "Trendy Tape - should arrive this week. So, speaking of mustaches, we have LOTS of mustache items in stock! and I missed a picture of the Kaisercraft Wood Mustaches. We also received some brand new Best Creations that you guys have been LOVING!! And I didn't get pictures of the music line. So, Tom and I are currently in Las Vegas for the summer trade show #CHASUMMER. We'll be seeking out new products, new lines, new vendors, and seeing all of the latest and greatest. I love The Strip! The classics!!! Bellagio, Caesar's, The Monte Carlo, The TI, The Mirage, Wynn, The Stratosphere. But we opted for the original downtown area and a piece of nostalgia... The El Cortez. Built in 1941 and once owned by Bugsy Siegel. We are staying in one of the original rooms. We didn't know what to expect, but we were a little worried about the noise because we are on the 2nd floor DIRECTLY above the casino, but it's as quiet as could be! I assumed that because the room was older that it would be larger, and oh my gosh, I was right! We have a living area, a writing/work area, TWO walk in closets, the bedroom area, and the bathroom. The room comes with a mini fridge and coffee maker (most Las Vegas hotel rooms do not because they want you to leave the room to buy stuff, and hopefully gamble). And the furniture is made of ACTUAL wood instead of a laminate or whatever. Look at this room!! And these period window locks!! The windows are screwed shut, but otherwise, the pane is a louver and would "drop towards you" when opened. Tomorrow, we are going to go to the Mob Museum. It's just a few blocks away! Tomorrow afternoon, we are going to an "invite only" event by several vendors to get a preview of their products, instructional information, and do a meet-n-greet with the company representatives. Tuesday, the show officially starts.... I'll post lots of pics of what I see!!! We'll be back Thursday in time to start the Shop Hop on Friday ---- aggghhh!!! I can't believe it's coming up so quickly! It's Time To Update The Ipod!!!! IMPORTANT ROAD CLOSURE TO KNOW ABOUT!!! What did we get accomplished today??? New Orders Are Being Placed!!! Storage is unloaded, let the madness begin!! !